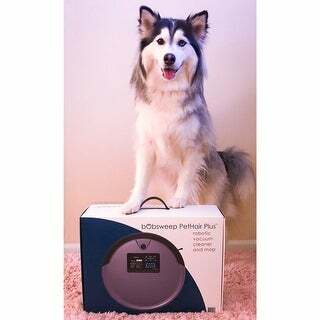 Pesky pet hair is no longer a concern when you utilize the bObsweep PetHair Plus Robotic Vacuum Cleaner. Cutting-edge vacuum design with 4x boosted integrated TurboLift feature sweeps, vacuums, and mops to delivers a superior floor clean. I now own both models of bObsweep vacuums, and I must say that while this one has more features and is much easier to find and remove the tray for emptying out its contents, I still prefer the bObbi classic. This one is definitely more heavy duty, which is great if you have pets, however we just found it to be a bit too large to fit under things that our original bObbi was able to fit under without any problems. It was also quite loud. These are all things that are totally preferential though, it is a great product but we just need things to be a little quieter since typically I run this during my baby's nap, which classic bObbi is quiet enough to do. It would be great if you can run this during the day while everyone is at work/school. So all in all, its a good product but if you are debating about which one to buy and you don't need the extra suction power for pet hair, I'd start with the Classic. Hope this was helpful! I received my bObsweep earlier this week and we love having him help our family clean our home. With a toddler, a Samoyed in prime shedding season, and a messy cat, it can be stressful keeping up with cleaning our floors. Having clean floors has always been important to me and lately, with a busy schedule, and the critters and kiddo making messes, it is hard to keep up. With a good charge the bObsweep will vacuum until he is at 15% battery and then he will find his charging dock and rest up for his next cleaning. This vacuum also does rugs! This impresses me. I am still learning how to use the remote control and mop attachment and love that he came with a Spare Main Brush and a Spare Side Brush. Today bOb was cleaning and ran over a small, clear toy I missed when cleaning up, and instead of breaking the toy or sucking it up, it simply turned off for safety purposes. I picked up the toy and set bOb to cleaning mode again and all was well. 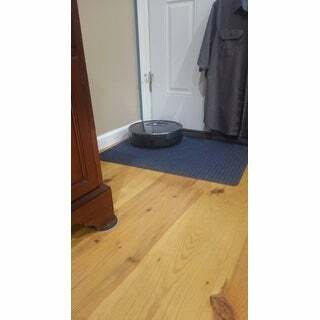 I had to chuckle when our cat first met our bOb because he was alarmed at the round robot moving through his house. The vacuum is quieter than a typical vacuum so you may not be able to hear your TV while it cleans, but it is not disruptive (I'm typing this as he cleans and am able to focus just fine). 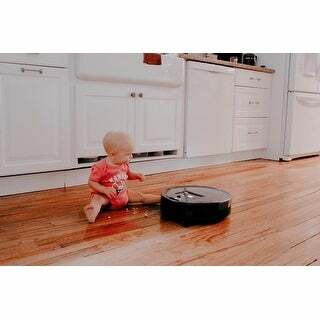 My cat has now gotten used to the vacuum, the dog knows to get out of the way when it is moving towards her, and the toddler squeals with delight when the robot turns on. Overall I think the bObsweep PetHair Plus vacuum is a great tool for any household! We absolutely love our bObsweep!! 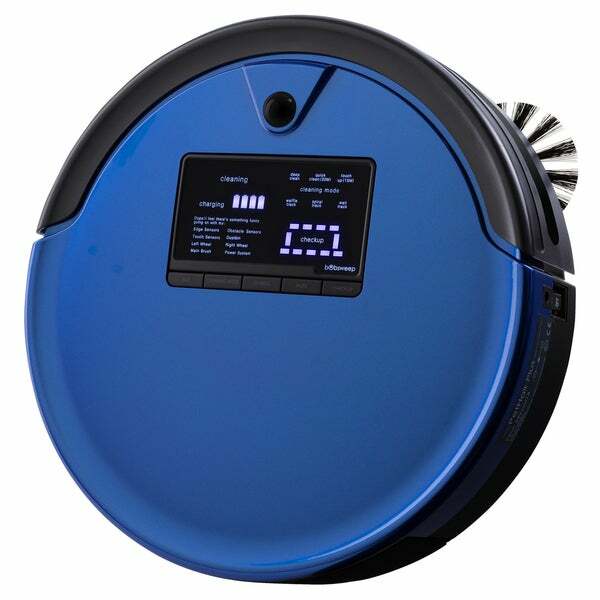 If you are debating between the different models of robotic vacuum, choose this one (PetHair Plus) if you have dogs. The dustbin holds a significant amount of dog hair compared to others. It comes neatly packaged and is extremely easy to use and clean. We have it set up to run twice a day, and since then we have found no more fur balls laying around on the floor like we used to from our two German Shepherds who are constantly shedding. Our dog run is also pea gravel so the dogs tend to drag in little rocks with them through the doggy door all day but bObsweep has no problem picking these up which has been nice! Our house always looks clean and you can hardly tell we even have dogs. Can't say enough good things about this vacuum, we love it!! Let's start this by saying..I have a nine month old baby that just started crawling. She loves to put anything and everything into her mouth and I just can't seem to keep up with sweeping and vacuuming all the time (let's be real, does anyone?) Enter: bObsweep. Having our bOb has changed our lives and I am not being dramatic here! He is scheduled to clean while we are sleeping so when Elowyn has floor time there hasn't been anything for her to put in her mouth. 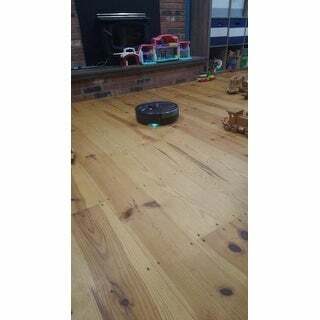 If you have been considering a robot vacuum, consider no more and take the plunge on bOb. He is worth every penny. I love my bobsweep. It does a good job in cleaning the house. I dont have to worry about vacuuming. I have two dogs who shed a ton and leave both individual hairs and tumbleweeds all over the floor. The bOb is great for both. It efficiently cleans up my wood floor and adjoining tile. The suction is great and it’s easy to use. I am thrilled with my bObsweep PetHait Plus. Everything was very meticulously packed when I opened the box. There was a spare brush and even a screwdriver that was provided by the company. The performance was awesome and the suction is really strong. I love how it automatically goes back to the docking station for another charge. I did a lot of research and bObsweep is highly rated. I’m so glad I purchased it!! I didn't like the circular, random patterns it makes. I returned mine for a different irobot that makes methodical, straight lines. Bobsweep Pethair Plus is okay. It isn't as good as the smaller Bobsweeps. It is pretty noisy and really only works in center areas of floors. Doesn't get close to edges or corners and it gets stuck a lot. It only has 1 sweeper brush and it lost it's shape on the first run it made. I wouldn't buy this again. This thing is horrible! Keeps getting stuck under recliner. Loses charge very quickly and does not pick up dirt the way I expected it to. I like it a lot, but it is really loud & that’s the only reason I gave it 4 stars instead of 5. My Bob does get stuck under my dishwasher & entertainment center, but it does a great job keeping up with my 2 very hairy dogs. So great a cleaning up the dog hair, kids crumbs, and other areas we never get to cleaning (like under beds, under hard to reach corners and tables. Somewhat limited in height for low couches and chairs but just shuts off and tells you there's something wrong. Took a while to learn our home, lots of different floors, with hardwood, rugs, carpet, but does n amazing job. Sinus and allergies already better after 1 week of use. Very well made and expect many years of use. Received vacuum got it changed and did a couple of rounds and it stopped working called overstock was able to resolve with replacement (new one) one year later still using. Picks up pet hair like a pro. This amazing product has my floors looking cleaner that I could have imagined.Best of all, its programmed to run nearly every day, and while it is cleaning, I am busy doing other things! I have 3 dogs and 5 cats, and the bObsweep really handles all the hair! I have been enjoying keeping this little cutie my company for about a year now. Bought this last year for myself as a Christmas gift. Very helpful with dust and dust bunnies. Cost of maintenance is low and affordable. Love Bob! It took him several rounds before he mastered the route in the house which is understandable. We have carpet and tile and bob works great on both! 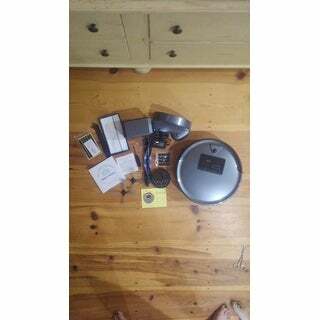 This is my 2nd robotic vacuum, my 1st one was a different brand and it was terrible so I returned it.